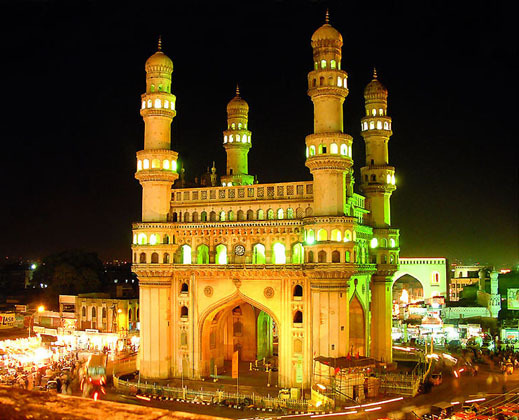 "At Home in Hyderabad": "Ready ... Steady ... WAIT!!!!" Someone once said that the Americans and the English are "one people separated by a common language". I think it was Sir Winston Churchill. Truer words were never spoken. Take the title of today's blog post. The English, when beginning a footrace, say "Ready, steady, GO!!" Here in America, kids starting a race across the schoolyard would say the more familiar (at least to American ears!) "On your mark, get set, GO!!" I heard the first major differences between the two "brands" of our mother tongue (which folks on both sides of "the Pond" still call "The Queen's English", God only knows why!?!) when I was a wee fellow of about four-years-old. My parents were really big into sports cars, and sports car rallys. These were all-night, balls-out auto races through the middle of nowhere...not so much for speed...but for accuracy in navigation, driving and timing. Dad would drive. My Mom, Grandma and I (along with others, all freezing our @$$es off!) would work one of the several "check-points" - usually some place chosen by the rally organizers to be as far from civilization as possible. Grandma "manned" the "mark". When a car would approach our checkpoint, there was an invisible "boundary line" called the "mark". Grandma would sit in her metal folding chair, obscured from the view of the road by a manzanita bush or some-such desert chaparral, and say "MARK!!" as soon as the front bumper of the sports car crossed the invisible line. Anyway...there are pictures of me as a baby sitting inside and atop of any number of my Dad's toys...a white MG TC, a British Racing Green MG TD. He was a big MG fan. I still remember my lessons. Without Googling... I can tell you that "MG" stands for "Morris Garage". I learned that MG's did not have "hoods" and "trunks". Oh, no! The front one was called the "bonnet" - and the rear one, the "boot". 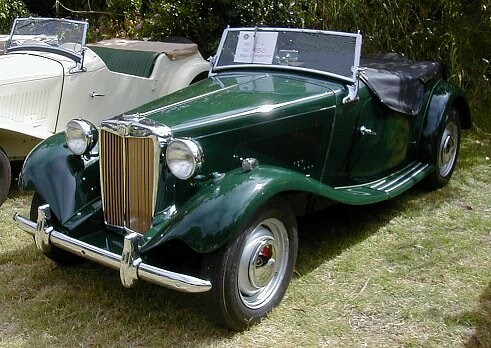 MG's had "tyres" instead of "tires". When there was a bad wreck during one of the rallys (oh...the Brits would say "Rallye", but I digress) - you did not call the "tow truck" - rather you summoned a "recovery lorry". "Tyres" do not go flat...they get what's called a "puncture". I have a feeling that Amy Suzanne and I are going to run into the same type of differences when we arrive in India. While most of the written/e-mailed correspondence we have had to date with the wonderful people in India have been just fine...there seems to be a similar "separation by a common tongue" in some of the instructions we have recieved. We have submitted and re-submitted visa applications and other important paperwork a few dozen times because the instructions given to us were so unclear. There seem to be an awful lot of people "in the loop", too....like a relay race where you are never sure who gets (or has!) the baton next. There seems to be far too much "on your mark, get set...WAIT!!" going on as well. There's a lot of stuff that couldn't be done before the last two weeks, anyway...but getting my multiple-entry travel visa squared-away is coming right down to the proverbial wire!! As of right now...the final package of original signed documents is going UPS One Day Air Early Delivery (by 8:00 A.M.!!) to Houston. If tradition holds, this means I just might get my visa back in my hands the Friday night before we are due to leave. Today we made plans to talk to the Houston people, find out the actual location of my U.S. Passport ("...yeah...who's got the freaking baton NOW, Captain??") - and I may need to fly up to San Francisco to actually file for my travel visa in person!! Hopefully we will get this answer tomorrow morning and this will cut up to five days out of the process!! Blimey! I do believe that I can just about see the finish-line up ahead through my "windscreen" !! It looks like I'm entering a bloody "roundabout". But I think I can make it!! That's if I don't run out of "petrol" first!